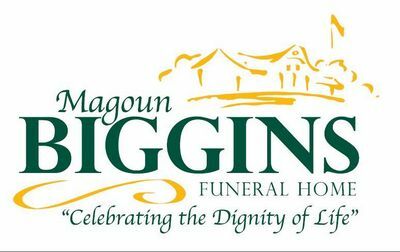 Curtiss E. Houghton, a devoted husband and father and retired school teacher who as a teenager fought in Pacific battles in World War II, died March 24 in Hingham, Massachusetts, surrounded by his family. He was 93 years old. Known as 'Papa' to his grandchildren, he was known for being caring, supportive, and a mentor. Family was always at the center of his life. But events between March 1943 and February 1946 helped define him. At age 17, he enlisted with the U.S. Navy and served as Fireman First Class aboard the USS Melvin, a nimble warship known as a destroyer, which conveyed him to the front lines of several Pacific battles of historical significance. On October 24 and 25, 1944, the Melvin fought in the Battle of Surigao Strait—a portion of the largest naval battle in history, the Battle of Leyte Gulf—during which it torpedoed a vastly larger Japanese battleship, the Fuso. At 19 years old, he watched the Fuso burn, capsize, and sink. On December 17, 1944, a naval fleet that included the Melvin sailed into the path of a typhoon which sank three similar destroyers, killing nearly 900 men; the Melvin narrowly escaped the same fate. On February 25, 1945, the Melvin provided air cover for the landing of U.S. Marines at Iwo Jima. Toward the end of the war, the Melvin was attacked by Kamikaze suicide pilots. He often recalled his terror at witnessing one such plane, seconds before it would have hit the deck, blown apart in the air by a shell fired from the Melvin. He lost most of his hearing from the concussion of the Melvin's guns. He told stories of his wartime service and the horrors he witnessed for the rest of his life. He was born May 10, 1925 in New Haven, Connecticut, the only child of Agnes (Blondeck) and Curtiss Houghton. 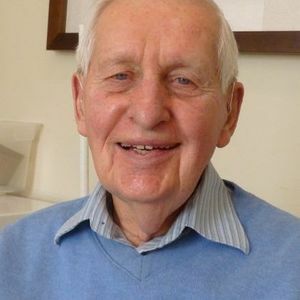 Following his discharge from the Navy he graduated from Saint John's High School in Shrewsbury in 1949 and the College of the Holy Cross in Worcester in 1953. He met Mary Biggins in 1958 at Clara Barton School in Oxford, MA, where both were working as teachers. They were married on June 27, 1959. The couple bought land in Worcester and oversaw the construction of the house where they would raise their family. In Worcester he was a parishioner of Our Lady of the Angels Church. He worked as a fifth- and sixth-grade teacher at schools in Oxford and Northborough, Massachusetts, from 1959 until his retirement in 1987. Teaching was so important to him that he encouraged any young person he met to pursue that career. He had previously worked as a manager at a General Motors factory in Framingham, Massachusetts. In 1975 they purchased a cottage in Oak Bluffs, Massachusetts, and spent every summer there for more than 35 years, gardening, spending afternoons on the beach, and entertaining extended family members and friends. He leaves his wife, Mary Houghton, a resident at Linden Ponds Nursing Home in Hingham; four children, Mary Beth Shertick, Michael Houghton and his wife Jean, Julie Talbot and her husband David, and Curt Houghton and his husband Craig Matthews; and seven grandchildren, Rose and Hannah Shertick, Katie and Meghan Houghton, and Nathaniel, Alexander, and Cordelia Talbot. He is predeceased by his son-in-law Paul Shertick. in lieu of flowers, donations be made to Alzheimer's Association (alz.org) or to the Disabled American Veterans (dav.org). Add your thoughts, prayers or a condolence to Curtiss' guestbook.